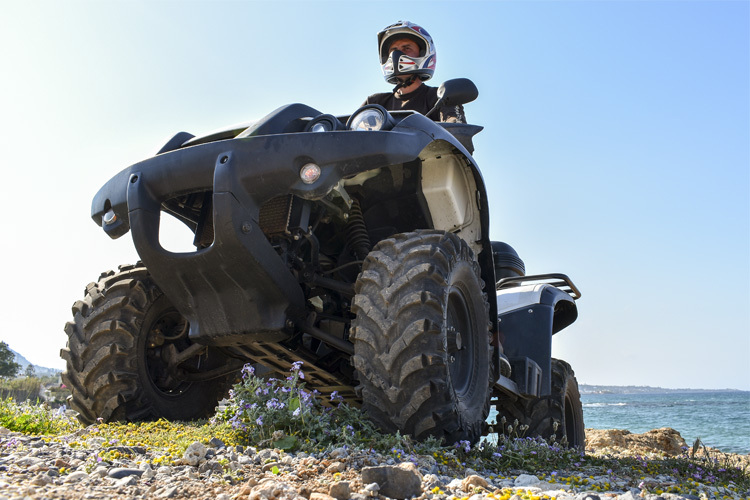 ATVs—shorthand for “all terrain vehicles”—are one way to explore areas of land that you might not otherwise be able to access. And you can have a ton of fun while you do it. Plus, it’s a great sport for almost every member of the family. 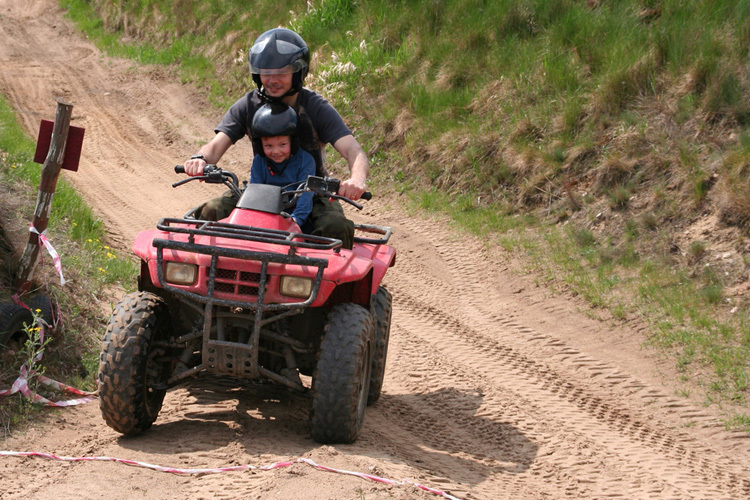 But here’s the deal: ATVs are motorized, and with that comes important safety rules you need to follow. According to the Consumer Protection Safety Commission, in 2015, there were 97,200 injuries related to riding ATVs—28 percent involved kids under 16 years-old. 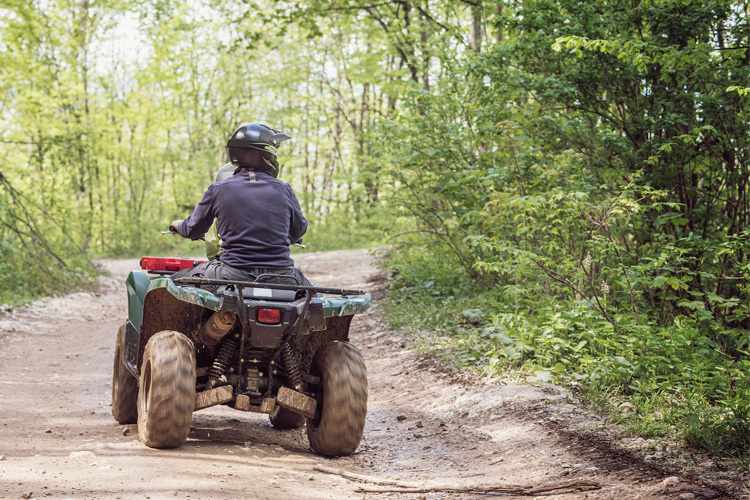 Here are some smart tips from seasoned riders, to ensure that you and your family members have the best ATV experience possible. For one thing, kids should not be placed upon some big honking device—there are ATVs specifically sized for younger riders, so look into them. Engine CCs of up to 70 are good for kids aged 11 and under. 250 CCs and up work for intermediate/advanced riders. Rule of thumb: When it comes to engine size, it’s better to go too small versus too big (and always keep an eye on kids under 16 years of age). 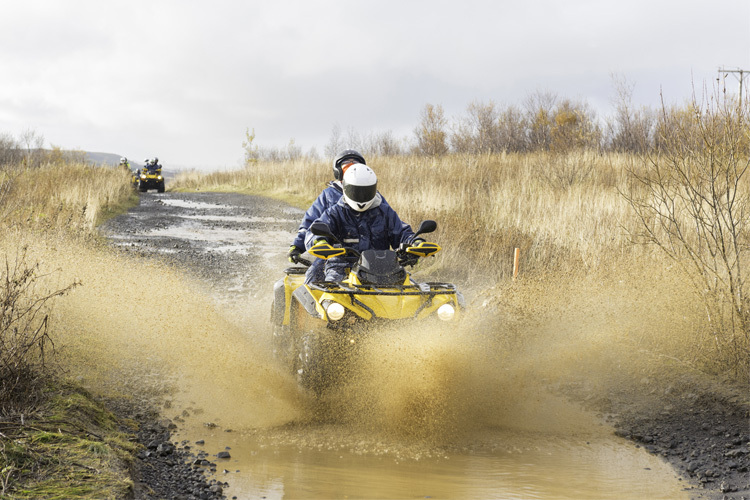 Sure, ATVs look easy to drive, but because they’re motorized vehicles, any and everyone who plans to board one should take a basic course in how to drive them. It’s just good sense, so do not skip this important step! 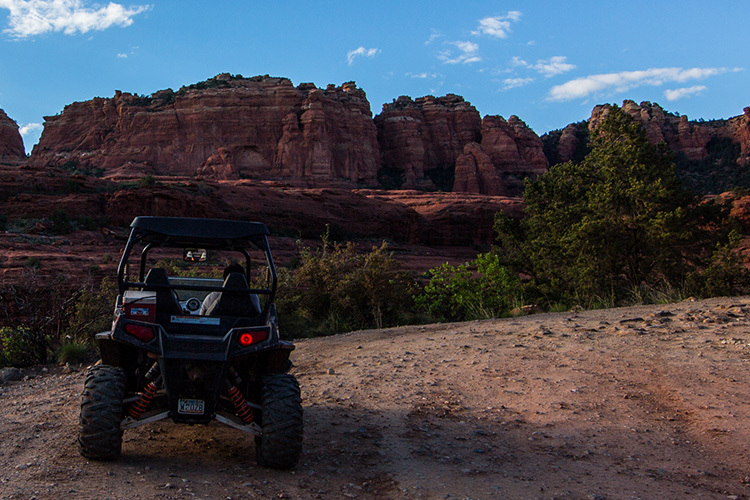 Whether you rent or buy your ATV, review the owner’s manual to get the skinny on how it works. Meaning, check fluid levels (gas, oil, coolant), chains, air filter, and tire pressure before you get started. There are many riders who just want to hop on and take off—only to be stranded later by something as simple as an empty gas tank. Even in warmer months, there are some non-negotiables when it comes to ATV gear. Most importantly, a helmet. ATVs are meant to go over some dodgy terrain, and the possibility of being knocked off—and out—is a real thing. For that reason alone, a helmet is essential. Other important pieces of gear include gloves, boots that go over your ankle, long pants and long-sleeved shirt, a chest protector, and goggles. Face it, the trail kicks up lots of unexpected “surprises,” like a pothole or big branch, so take no chances. It’s not worth it. 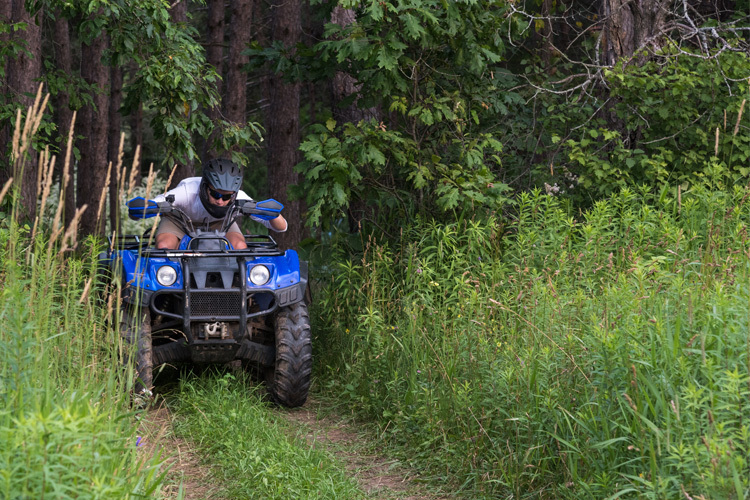 Sure, the ATV goes “vroom vroom”—and it may be tempting to race the motor, and pop a wheelie. But that’s a fast way to hurting yourself. 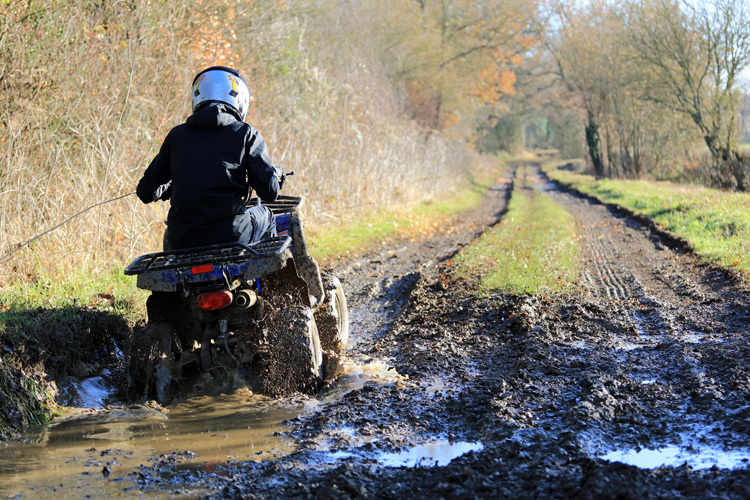 It’s a fact that more folks are injured riding ATVs than in any other outdoor sport, so be responsible. Remember those potholes and errant branches? Even wearing safety gear, you could still wind up in serious trouble. Always take someone with you when riding. But never put someone on the back of a single-rider ATV. Probably my favorite weekend of the year with these guys! There’s a reason “terrain” is part of the name: off-road is where they’re meant to be used. On that same note, don’t cross over onto private property, and be respectful of environmentally-sensitive areas like dunes.